This time of year means more than just the Paso Robles Christmas Parade. As we head into the holiday season, we can’t help but feel anticipation for all of the fun, festive events and holiday traditions in Paso Robles. 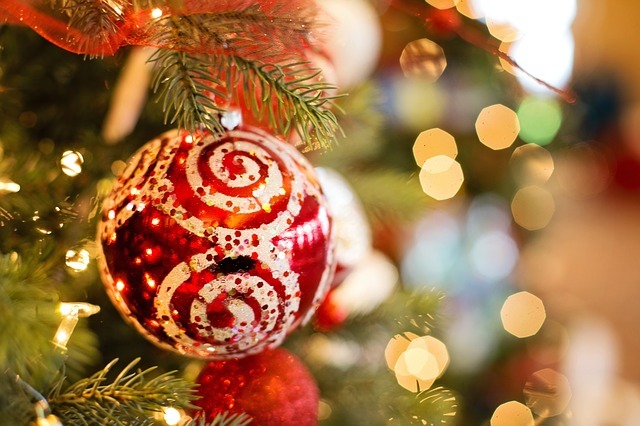 We think this is one of the most charming places to celebrate the holidays, and whether you come for the weekend or plan to stay a while, these festive holiday events in Paso Robles will have you feeling merry all season long! 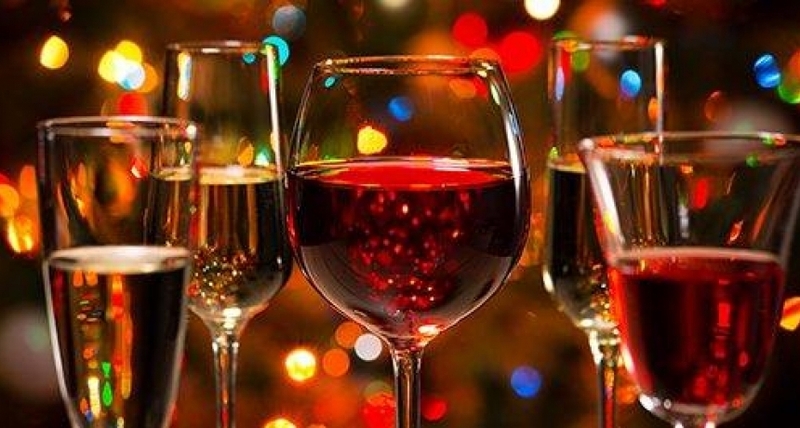 This free event offers a chance to enjoy the elegance of Paso Robles during the holiday months. Sip world- class wine, nosh on delicious food and stroll through downtown Paso Robles in this open-house style event. Live mannequins by Class Act Dance Studio, dancers, singers, musicians and carriage rides add to the overall experience. Just in time for the holidays, the Holiday Craft Bazaar is a chance to stock up on unique, handcrafted holiday gifts made from the region. Local purveyors will be stationed in booths around the park. You can stroll and shop while checking off gifts for everyone on your list. There’s no better way to ring in the season than by watching the holiday lights illuminate around you. At 6:00pm, Mrs. Claus will arrive to light up the downtown, accompanied by live music, caroling, complimentary cookies and hot chocolate. It’s a Paso Robles holiday tradition you don’t want to miss. Everyone will get into the holiday spirit during this lively parade. Watch as it illuminates downtown Paso Robles with the sights and sounds of the holidays. Local businesses will all be on hand to participate in this fun tradition, with awards given out in several categories. This year’s theme is “Cowboy Christmas” so expect a ranch-style twist at this cheerful Christmas celebration. 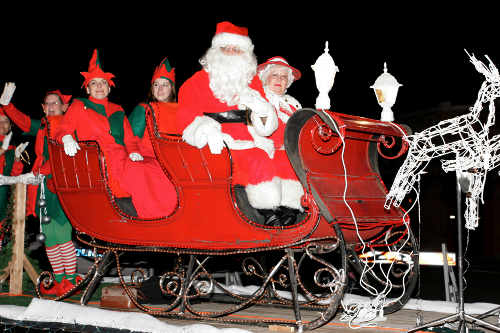 Bring the whole family to Vine Street for this annual community tradition, where Ebenezer Scrooge, the Snow Queen, Mr. & Mrs. Claus and the whole crew will be on-hand for an evening of caroling, illuminated floats, open houses and entertainment. You’ll find live music, cotton candy, free cookies and hot chocolate, and plenty of ways to feel the joy of Christmas. Since Paso Robles is a burgeoning wine destination, it only seems fitting to celebrate the holidays at your favorite east side wineries! During the annual Holiday Open House, each of the twenty 46 East wineries will open their doors for a day of shopping and sipping. Enjoy holiday tunes and treats, along with case specials, merchandise sales and special holiday deals to stock up on for you and your wine-loving loved ones. This annual event is a chance for kids and families to meet old friends and make new ones, including The Snow Queen & King, Santa Claus, Mrs. Claus and even the elves. There will be music, storytelling, gingerbread cookie decorating, coloring and candy canes, with special door prizes to take home with you! Make Paso Robles your homebase this holiday season with a stay at the Adelaide Inn. Located in the heart of Paso Robles Wine Country, The Adelaide Inn is just minutes from historic downtown’s unique dining, shopping and holiday festivities. And if you’re staying with us this November, be sure to take advantage of 20% savings with our Give Thanks promotion! There are no comments on this blog post yet.